Let it be known that a lack of posts generally means one of two things: that I'm genuinely busy, or that I haven't done anything worth writing about. This past week has consisted mostly of work and apartment hunting, both of which seem to have finally paid off - my boss sent a text this morning that my pay for November has been disbursed and on Friday I'll be signing a housing agreement with my new colocataire. The timing couldn't have been better since this weekend I'm heading to London, and after I return on Tuesday my family is coming to visit. 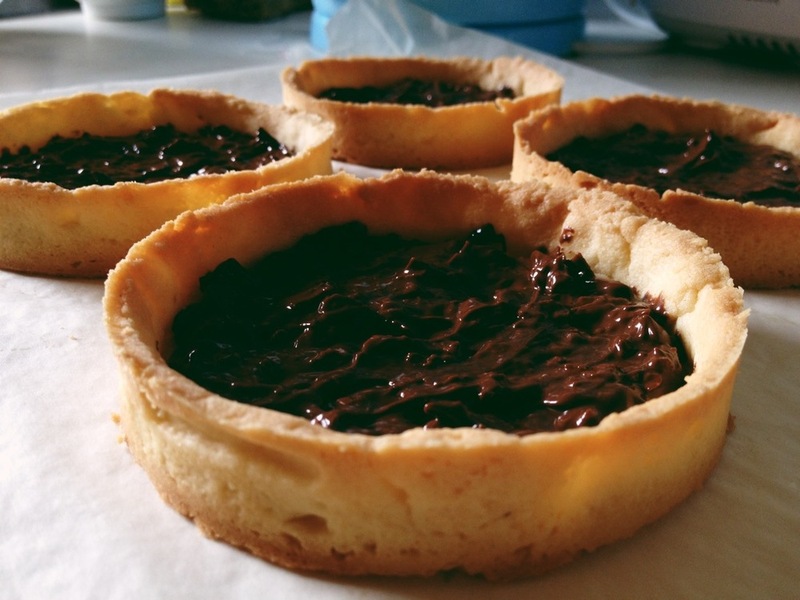 I originally wanted to make this tart, inspired by one that I tasted at a dinner a few weeks ago, for a holiday party I'll be attending on Saturday. But, I decided, even with the most careful packing, the chances of the dessert making it to London intact were slim. So instead I brought it to a dinner hosted by a friend from school. (She also loaned me her tart rings for the project). 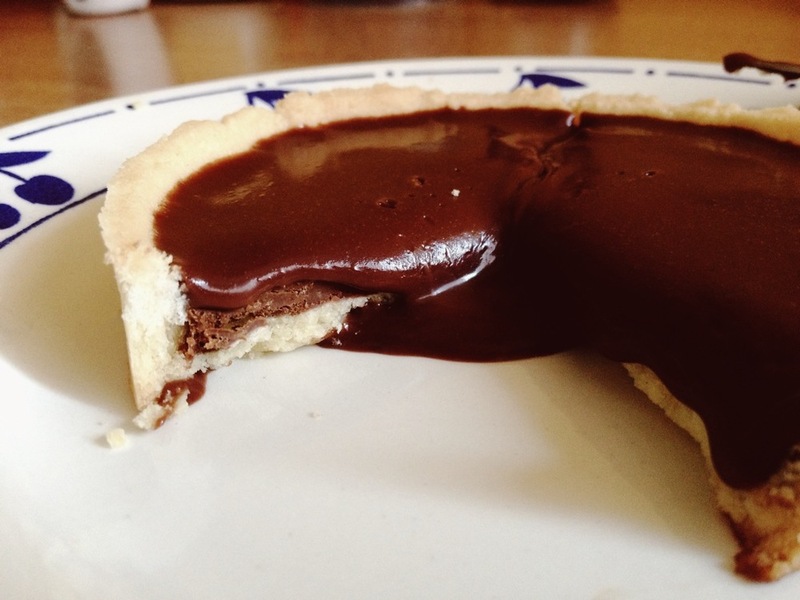 A basic sweet pastry dough filled with a layer of crispy praline (melted chocolate, praliné, crushed gavotte cookies) and chocolate glaze ganache. I'm feeling a bit too lazy to type out the recipe here (just got home from babysitting; 3 and 5 really know how to tire me out) but if you would like to know how to make it please send me a message via the contact form. 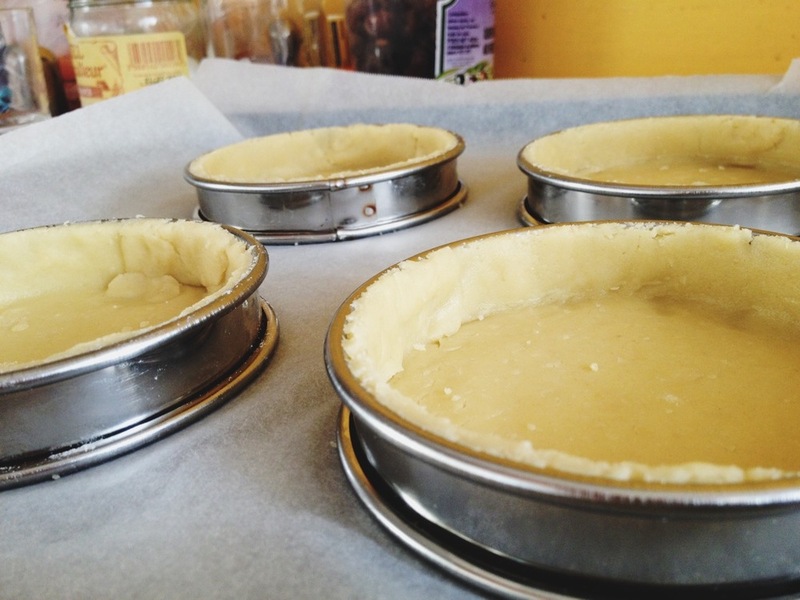 Blind bake the tart shells. Top with glaze ganache. If I had bothered to wait another hour it wouldn't be hemorrhaging chocolate like this.